The 1915 State Reservation Commission Report (6th annual), published January 1, 1915, outlines the request of commissioners George Foster Peabody, Frank N. Godfrey, and Benjamin F. Tracy to obtain additional funds from New York State to acquire lands to incorporate into the State Reservation and renovate and expand the bathhouses. The report emphasized that changing times called for a changing strategy. It argued that WWI would divert the demand for bathhouses to Saratoga Springs due to elite Americans being unable to access the baths of European countries embroiled in war. There was also a push for funds to reach a different kind of spa goer. The report sought to develop “low-cost” bathing facilities at the Lincoln Spring to serve “the great population of farmers, artisans and others, who would not be able to avail themselves of the luxurious facilities necessary to be provided for those who are accustomed to take the cures in Europe”; later reports added African Americans to the list of potential clients. 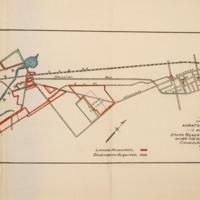 The report contains detailed maps and images that tell the development story of the Reservation. The project's consulting engineer Charles Anthony supervised the mapmaking and a "J. Ziegler" signed of as designer or draughtsman on each. 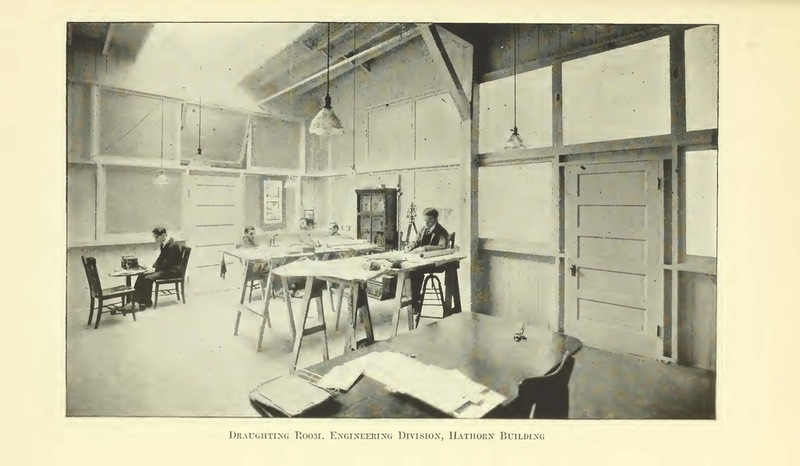 A photograph of their workspace in the Hathorn Building on park land shows a small team at work, with surveying and mapmaking instruments in the background. 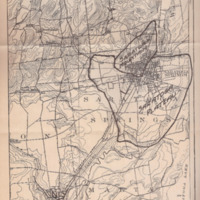 Three maps, created in 1915 by Anthony and Ziegler folded out from the back of the report, identifying the land acquired under previous Reservation commissioners. 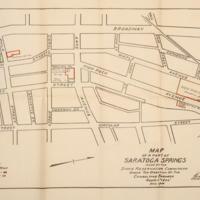 Land acquisition, as exemplified by the “Map of a part of Saratoga Springs” (Figure 2) downtown detail, included purchasing springs central to the city's history, which effectively gave the Reservation the power to create parks downtown—Congress Park and High Rock Park. This map in particular details the relationship between land and easement acquisition. 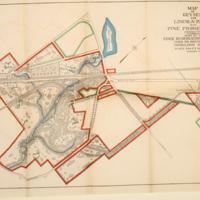 The detailed “Map of Geyser and Lincoln Parks with Pine Promenades connecting” (Figure 3) parcels out the land for each park and indicates how the two will optimize their respective spaces between the bottling industry and filling the niche for tourist bathhouses. This map is also clearly indicative of how the Commission planned to acquire lands around the Delaware and Hudson Railroad line in order to efficiently and easily ship the bottled mineral water around the nation. The “Map of a part of Saratoga Springs” (Figure 4) depicting downtown and Geyser and Lincoln Parks indicates a strong dynamic between the downtown and the spas as a method of revitalizing tourism.